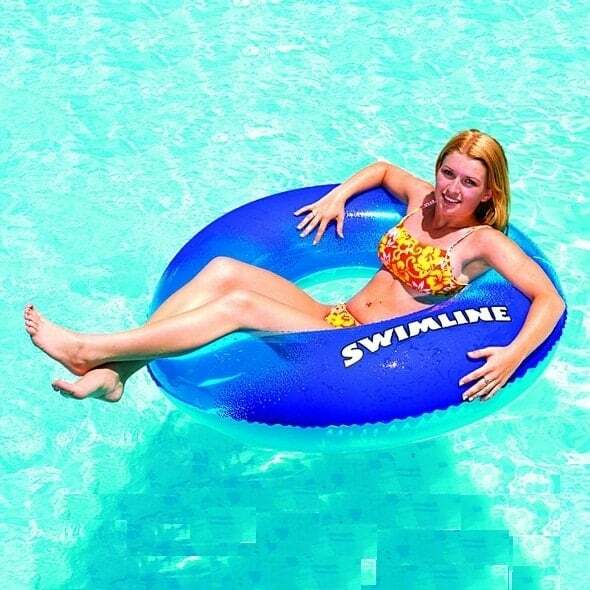 A Unique Inflatable Swim Ring - Stylish, Trendy & Just Plain Cool! Showcasing a unique transparent print on the surface, the 48" SuperGraphic Ring from Swimline and Family Leisure is stylish, trendy and just plain cool. Chill out this summer on the coolest inflatable ring available with this special model from Swimline. We promise the opaque print is unlike anything you've ever seen, a unique look that can be used in a swimming pool or floating down a river. This any-environment durability is exceptional, achieved by using thick vinyl. And the 48" SuperGraphic Ring comes with free shipping nationwide from Family Leisure!